At the seashore, or chepchop unai, a young boy named Juan learns how to build sand sculptures from his uncle. Although he is met with obstacles along the way, Juan keeps trying until he becomes a talented sand sculptor. Chepchop Unai highlights the beauty and importance of intergenerational sharing in the CHamoru culture. The book features captivating illustrations of Juan and his family at the beach and the unique island-inspired sand sculptures he creates there. 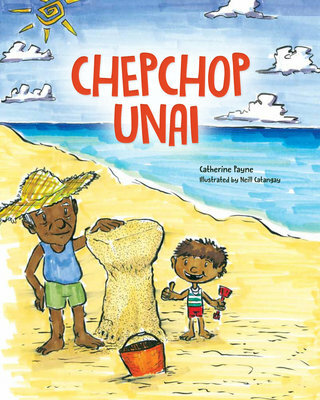 Chepchop Unai is written mainly in English, and utilizes CHamoru words and phrases throughout the story to help teach the language. An Islander's Voice, a collection of poems by Guam's Poet Laureate Federick B. Quinene, offers a unique perspective on love, life, family, culture, and politics on Guam from the powerful voice of a proud islander. Litekyan (Ritidian) in northern Guam is one of the only places on the island where every period of human life can still be traced. Lina'la: Portraits of Life at Litkeyan features an incredible collection of photos capturing the people, plants, wild and sea life, landscapes, water resources, artifacts, and legacies of Litekyan, spanning 3,500 years of life. 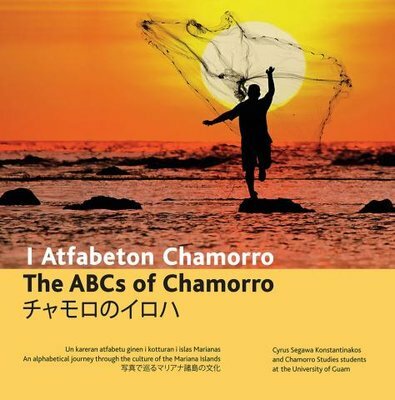 This unique and powerful publication not only provides valuable information about such a significant historic and cultural site, but also about the history of the CHamoru people. Insights from Oceania is an anthology of prose, poetry and artwork featuring 40 contributors from across Oceania, who offer a contemporary and bold snapshot of life in the Pacific. The writings in Kinalamten Gi Pasifiku focus on modern perspectives in colonized Pacifica. Each work is a bonding between oceanic life and personal thought. In her Foreword to the anthology, Dr. Laura Torres Souder describes the collection as "speaking the unspeakable". Souder explains that through their writing and art, the anthology's contributors "dare to expose sublimated contractions and use their critical consciousness to heal wounded hearts." Kinalamten Gi Pasifiku is the premier publication of Ta Tuge' Mo'na, a Non-Profit Organization that supports literary communities in Guam and contributes to the development of a written literary tradition that expresses local and regional perspectives. University of Guam: Ina, Diskubre, Setbe celebrates the dynamic role the University of Guam plays in Guam and Micronesia. 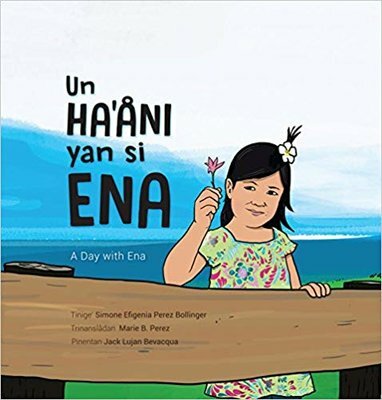 The hardcover book offers a pictorial glimpse of the ways that UOG lives its mission statement of ina, diskubre, setbe--to enlighten, discover, and serve. This publication chronicles the university's role in the local community and gives readers a comprehensive view of the unique education provided by UOG that is offered nowhere else in the world. Readers can learn about the university's programs and offerings, as well as gain a greater understanding of how UOG is dedicated to the betterment of both Guam and the Micronesian region through service and scholarship.